After reaching Landscape Arch along the Devils Garden trail at Arches National Park, the trail becomes a lot more difficult. 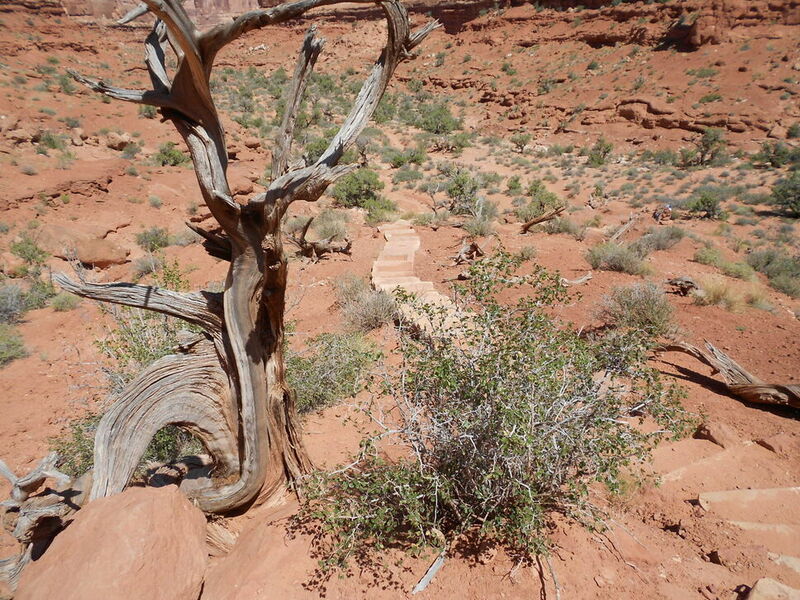 It isn’t anything that a fit hiker can’t do, but those with mobility issues will have trouble as there is some scrambling necessary to get up parts of the trail. 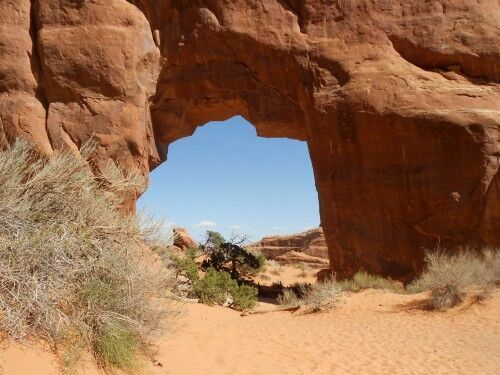 Despite the difficulty of the trail from this point, it’s well worth continuing to see some other magnificent arches along the trail. 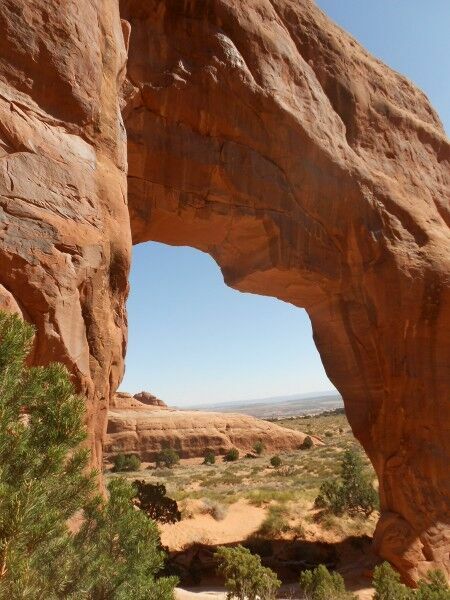 The first side trail you will reach after Landscape Arch will take you to Partition Arch and Navajo Arch. 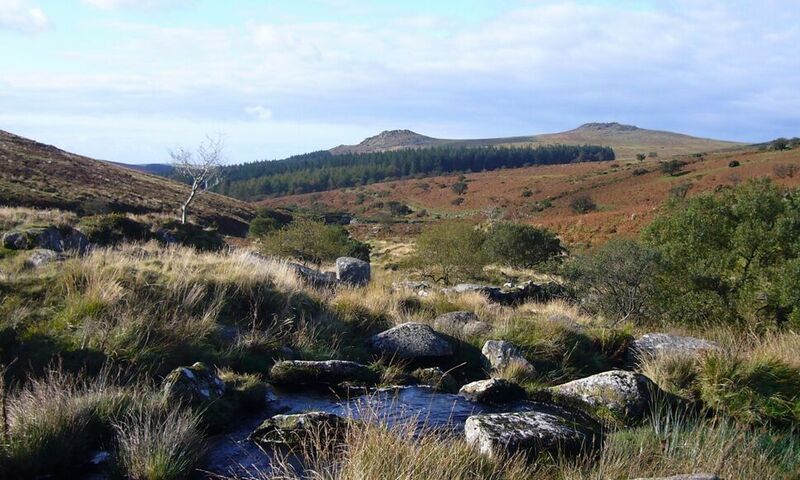 It’s a perfect place to stop for a short rest and simply bask in the beauty all around. 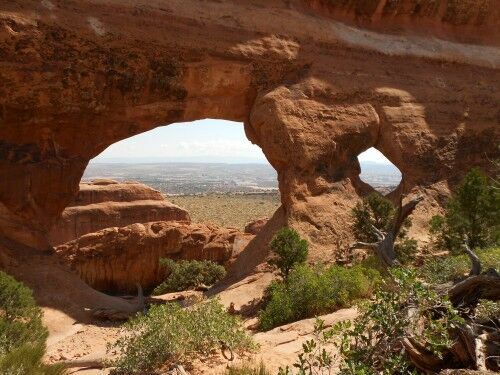 It’s definitely one of the arches to make sure to visit if you decide to hike the entire Devils Garden trail. 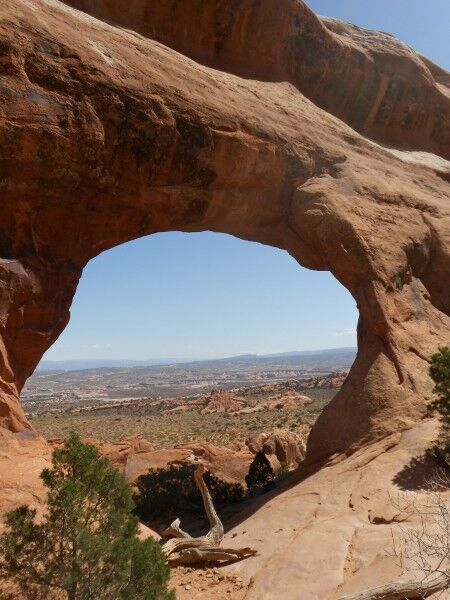 Probably the most famous arch along the Devils Garden trail at Arches National Park is Landscape Arch. 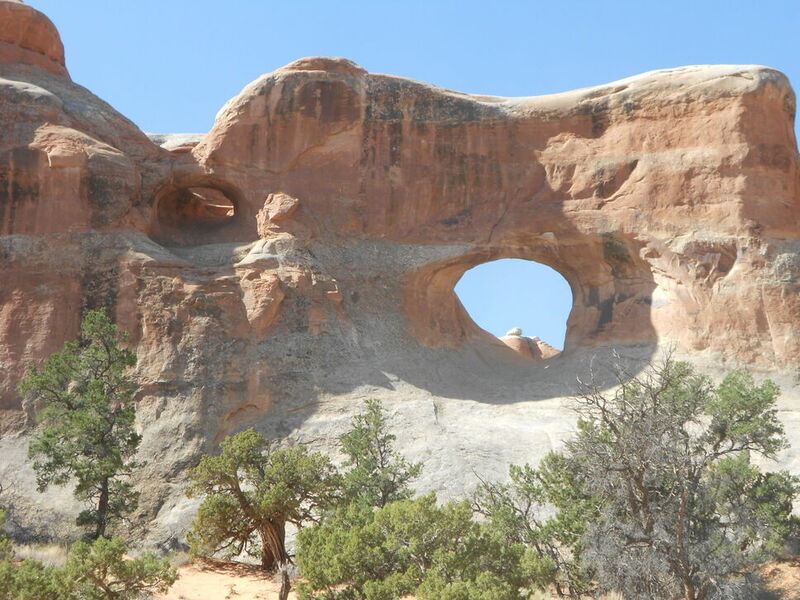 Unlike Tunnel Arch and Pine Tree Arch, Landscape Arch is on the main Devils Garden trail and there is no need to take a side trail to see it (although there is a short side trail to get a bit closer to it). 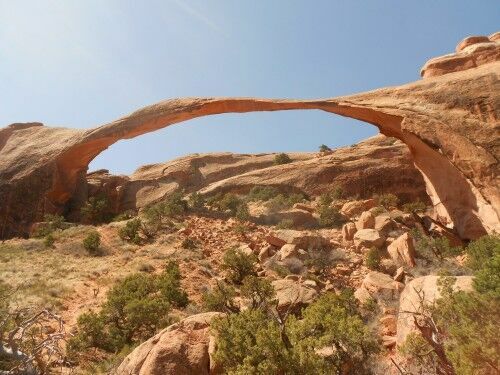 It’s the longest natural bridge at Arches national park and also considered to be so in the world. 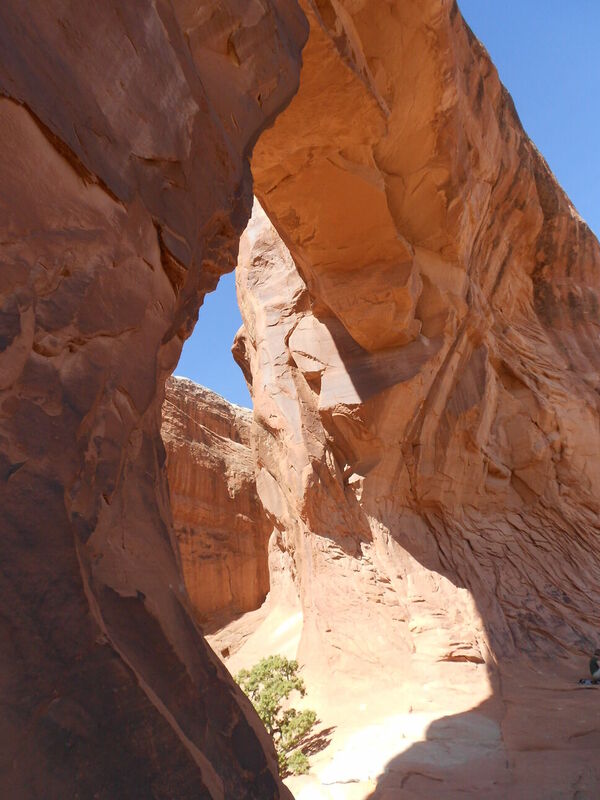 While it was once possible to hike under Landscape Arch, the park service has closed the trail that once passed under it because there have been three instances since 1991 when large slabs of stone have fallen from the thinnest section of the arch. This section can easily be identified as the color under the arch is much a brighter red than other areas of the arch. This is the goal of most people taking the Devils Garden trail. 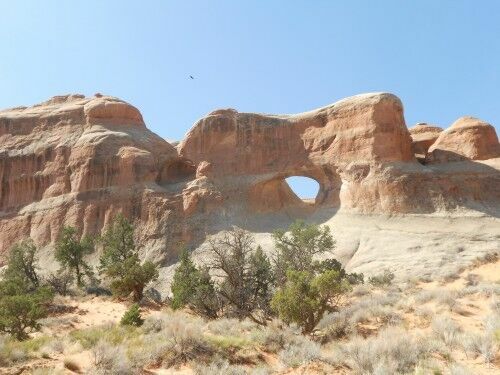 It’s 1.6 miles round trip from the trailhead to Landscape Arch and the trail is considered easy terrain. There are more (beautiful) arches beyond Landscape Arch that are definitely worth seeing, but the terrain does get significantly more difficult from this point and requires rock scrambling is some sections. September 1, 1991 — Hikers thought they heard cracks of thunder from distant clouds. Visitors resting under Landscape Arch noticed loud cracking and popping noises overhead. 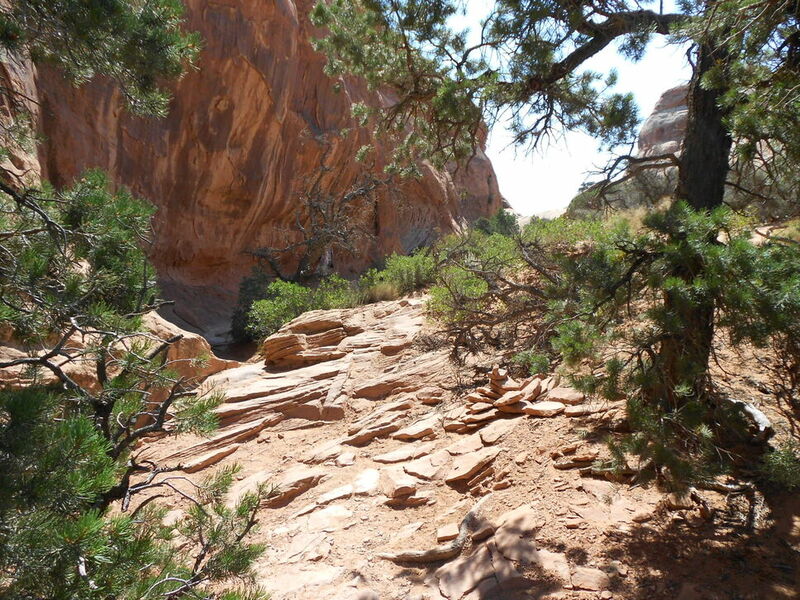 They fled as small rocks tumbled from the slender 306-foot-long span. 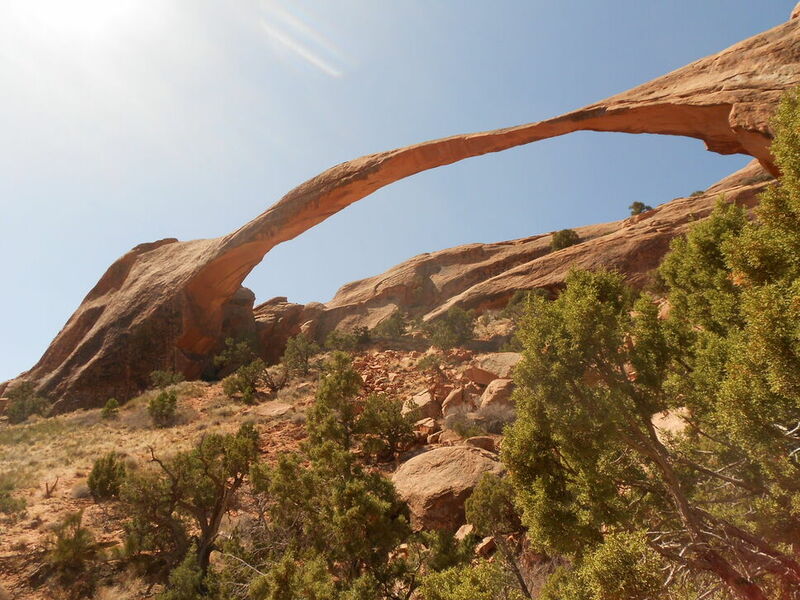 Moments later, a 60-foot-long slab peeled away from the arch’s right side. 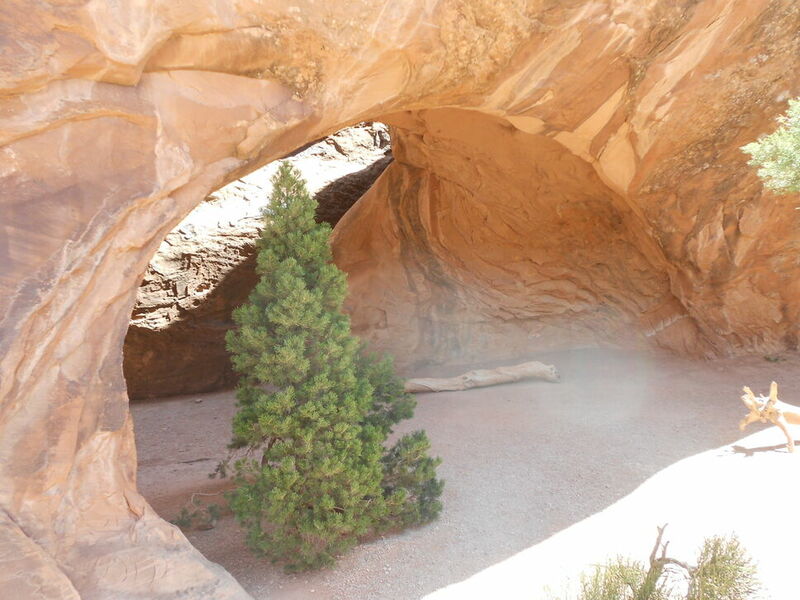 When the dust settled, 180 tons of fresh rock debris lay scattered on the ground. What caused this cataclysmic event? 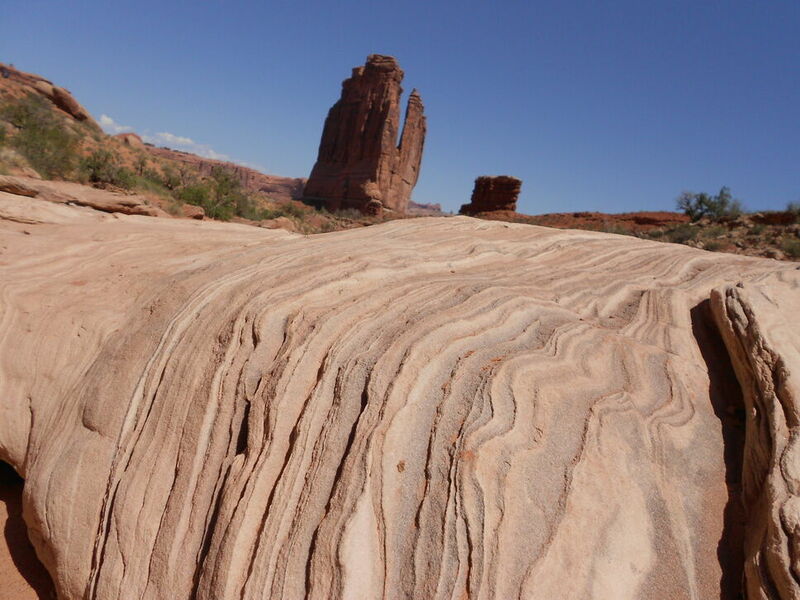 Water had been slowly shaping the arch for countless centuries, dissolving cement between sand grains, seeping into tiny cracks, freezing and expanding. 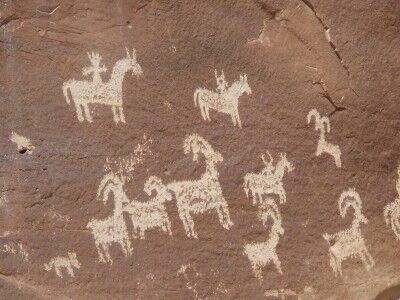 What had finally upset the delicate balance? 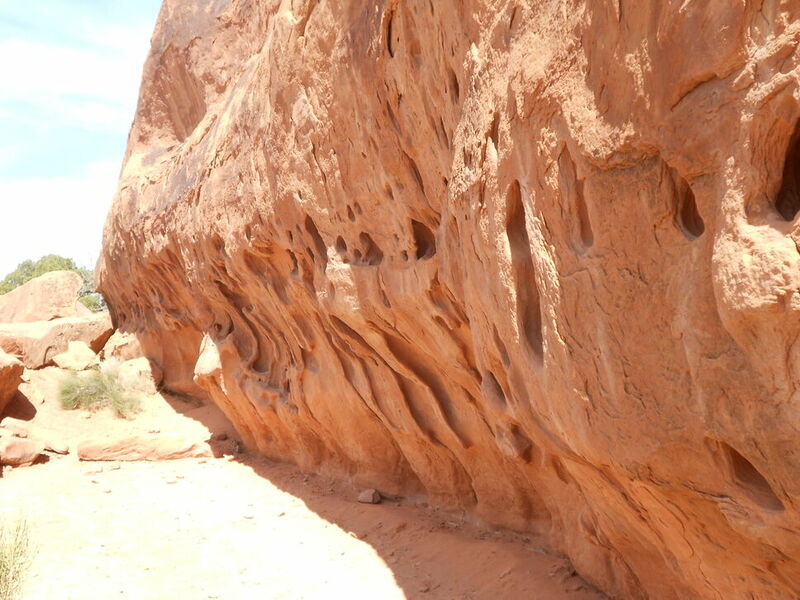 Unseasonably heavy rains the preceding ten days may have filled pore spaces within the sandstone. The added weight may have finally overwhelmed the rock slab in its timeless struggle with gravity. Immediately after the 1991 rockfall even, the National Park Service closed the trail which took visitors up and under the arch. 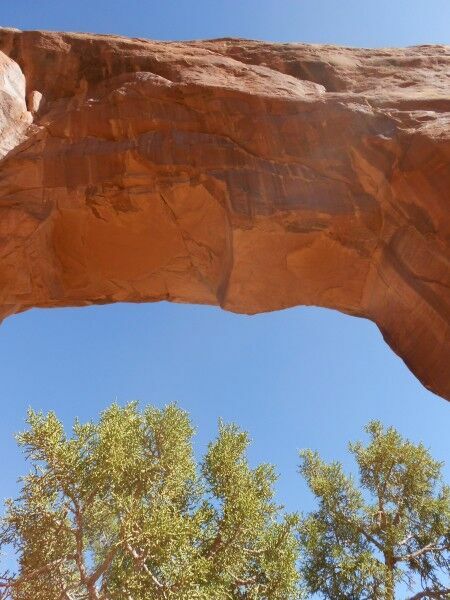 The trail under the arch remains closed today. It is a dilemma! 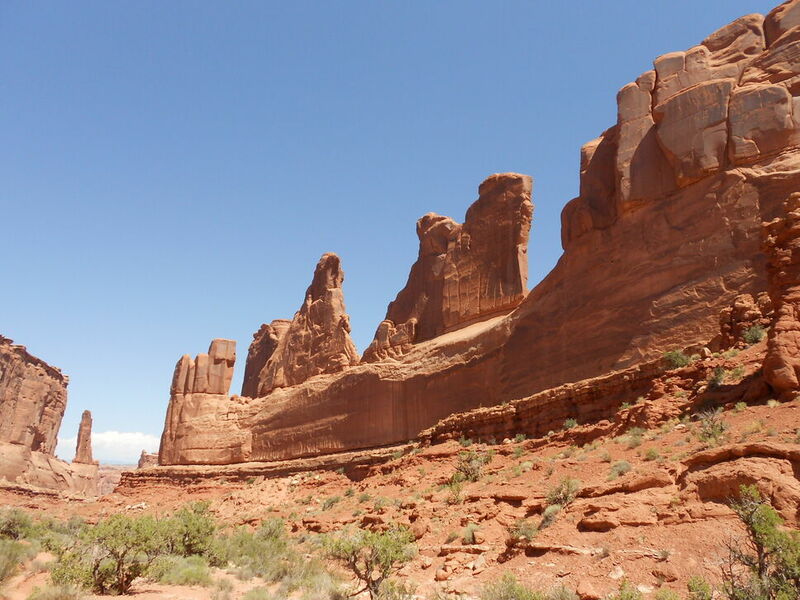 The longer time passes without a rockfall, the more stable the rock formation may seem. On the other hand the passage of time takes Landscape Arch closer to ultimate collapse. So, in the interest of visitor safety and preservation of the landscape beneath this fabulous arch, the longer trail under the arch remains closed. 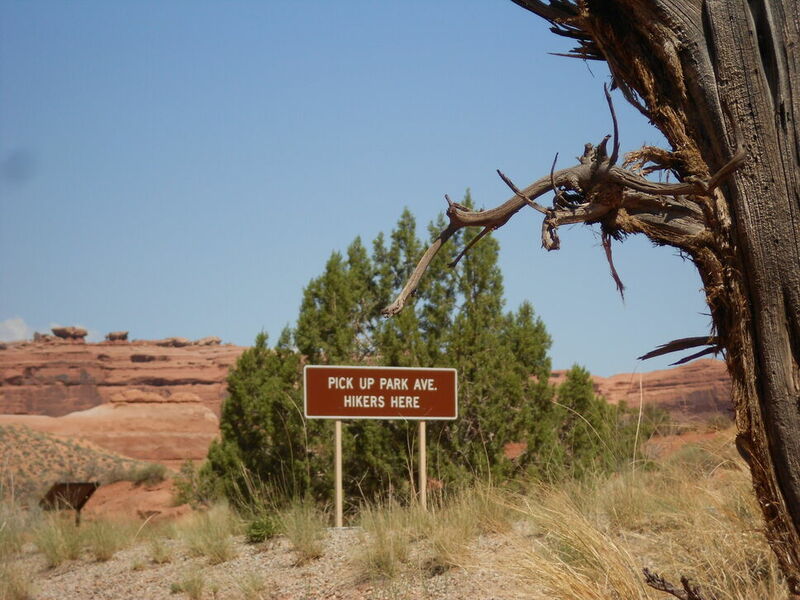 Please respect this closure by staying on designated trails. 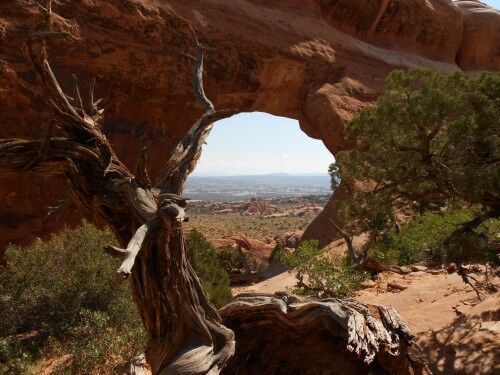 Pine Tree Arch is an arch at the end of a side trail off the Devils Garden trail at Arches National Park. 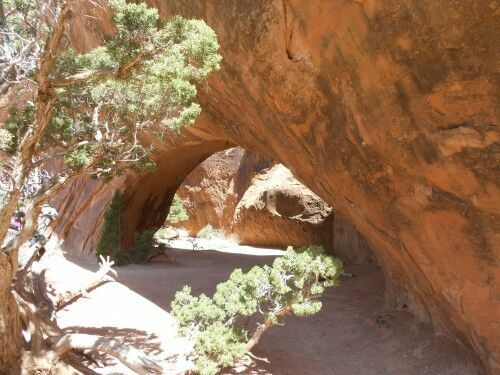 This side trail leads to both Pine Tree Arch and Tunnel Arch. Pine Tree Arch is to the left where the side trail splits, and is around a bend so can’t be readily seen. 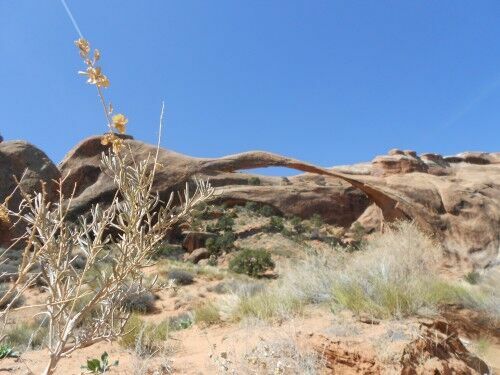 It’s a relatively short and level walk to the arch from the split (the somewhat steep hill comes before the split) so it’s definitely worth going to if you have already made it to Tunnel Arch. While it really doesn’t make sense not to visit both arches once you have visited one since they are so close together, I happen to think that Pine Tree Arch is the nicer of the two. Because of its size and location to the trail, it gives an opportunity for a wider variety of photos. 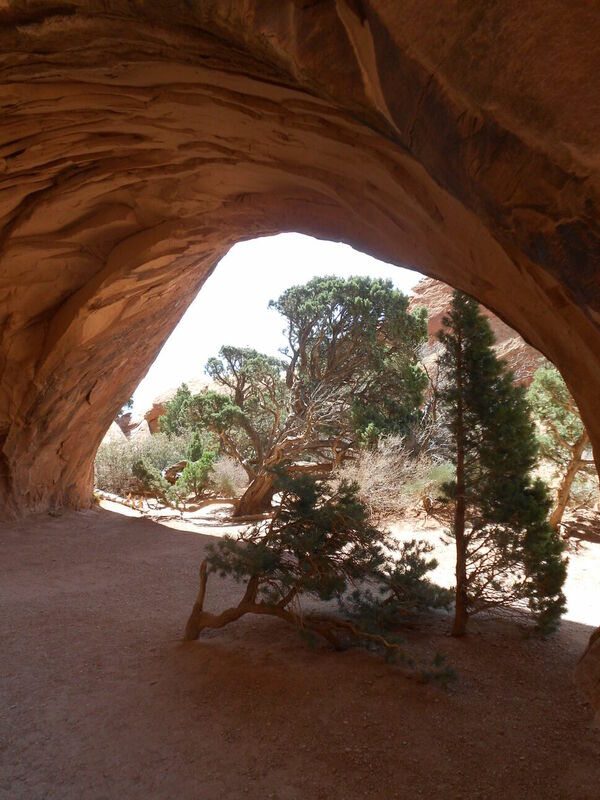 Since it’s a short hike off the main Devils Garden trail, it’s worthwhile to make the trip to both Tunnel Arch and Pine Tree Arch. 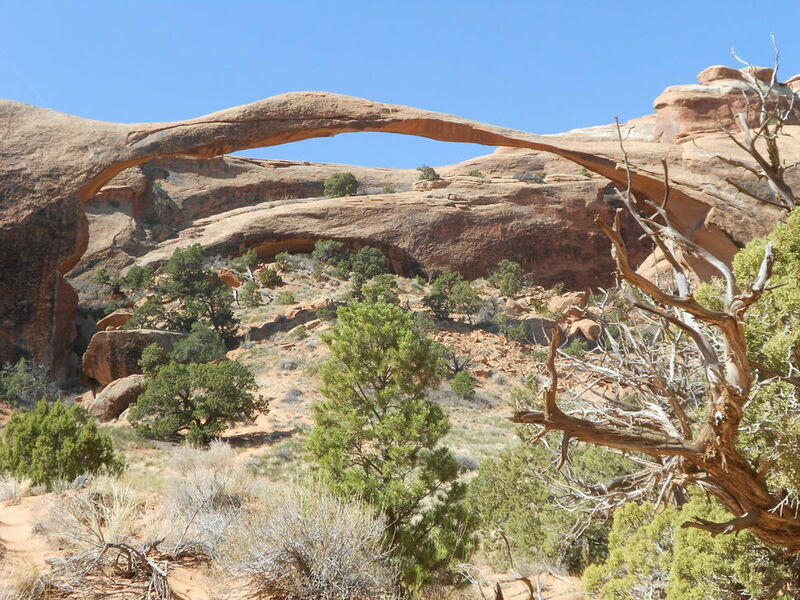 If, however, you are really pressed for time, these two arches aren’t quite as spectacular as several others on the trail that you certainly won’t want to miss. The viewing spot for Tunnel Arch also usually supports a crowd of people since it is the first arch on the trail and easily accessible for most (there is one slightly steep hill to reach it), so it can get overly full at times. 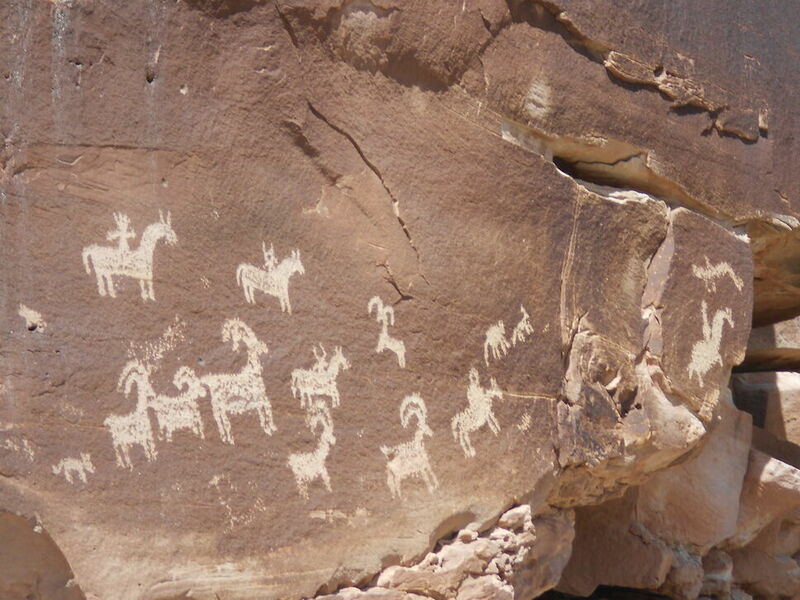 Today, this rock art panel is important to many Native Americans of this region because it was created by their ancestors. 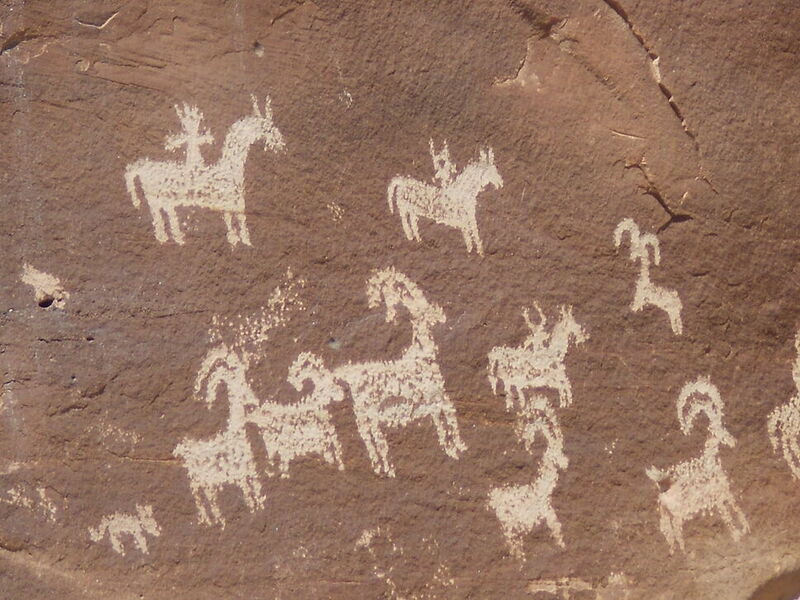 Help protect the rock art by not touching it. 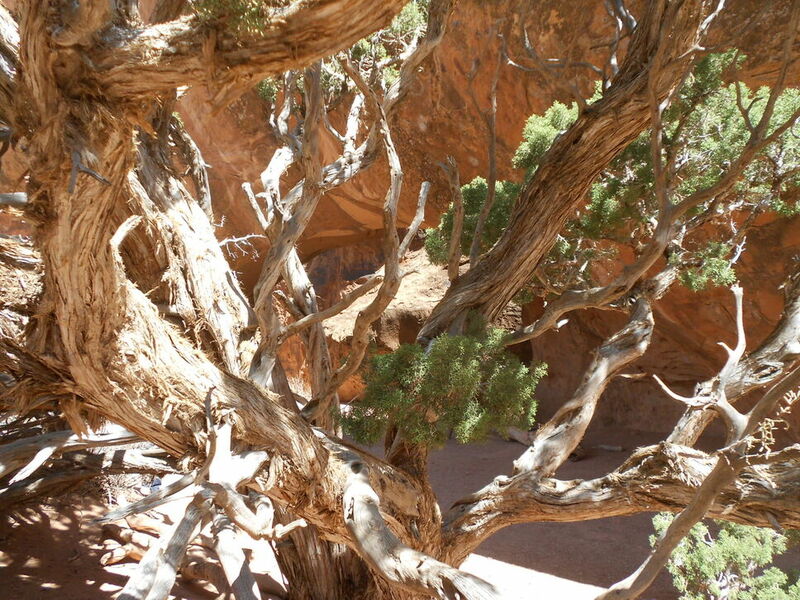 Oils from your skin hasten deterioration of these fragile and irreplaceable cultural resources. 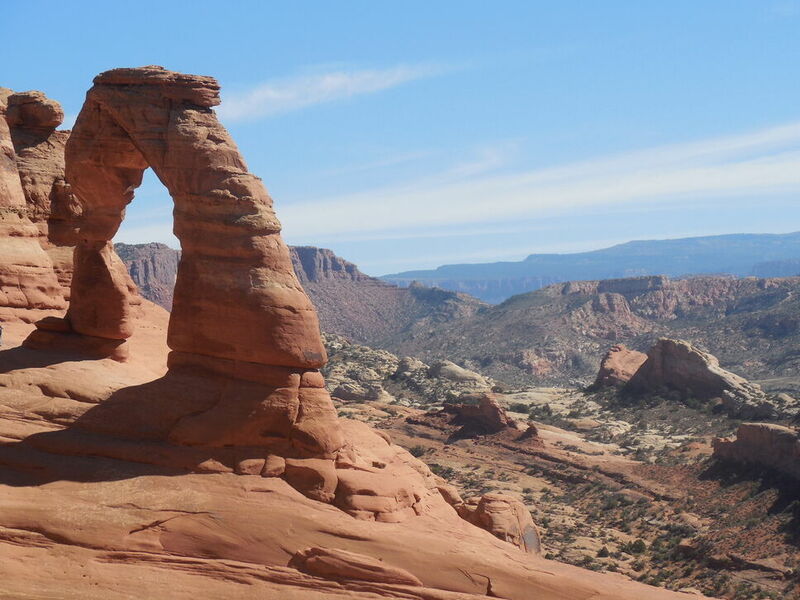 It’s a huge mistake to skip this little gem because you are too focused on making your way up to Delicate Arch. 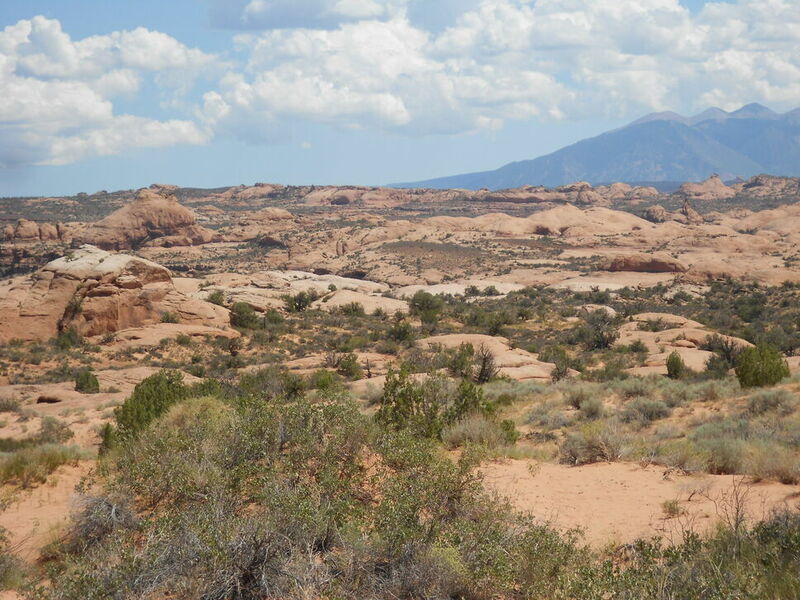 It really isn’t much of a hike and is well worth making the short detour. Ancient Sand Dunes: This vast area was once covered by extensive sand dunes. Some 200 million years ago, winds from the northwest carried tons of fine-grained sand into this area, creating an immense desert. Over time, the sand drifts were covered by other layers of sediment, compressed and cemented by quartz and calcite into Navajo Sandstone. 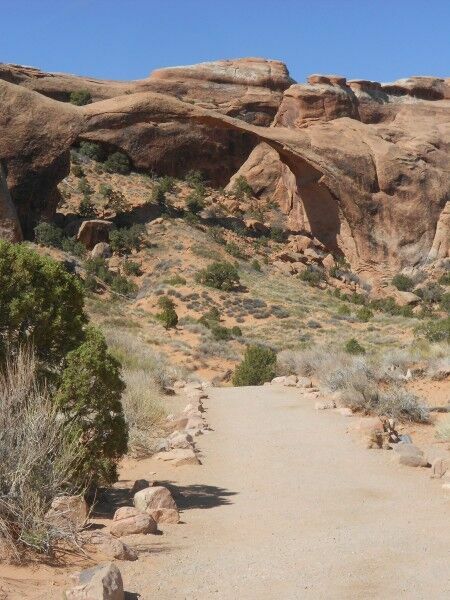 To the left of the Park Avenue Viewpoint at Arches National Park there is a medium steep trail that is the beginning of the Park Avenue trail hike. Even if you aren’t really into hiking, it’s worthwhile to hike down the trail steps to the bottom if you are physically able. While the steps are a little steep, you get an entirely new (and gorgeous) view of Park Avenue from the bottom compared to the viewpoint at the top. A lot of people skip this hike at Arches National Park as they head to more popular areas of the park. 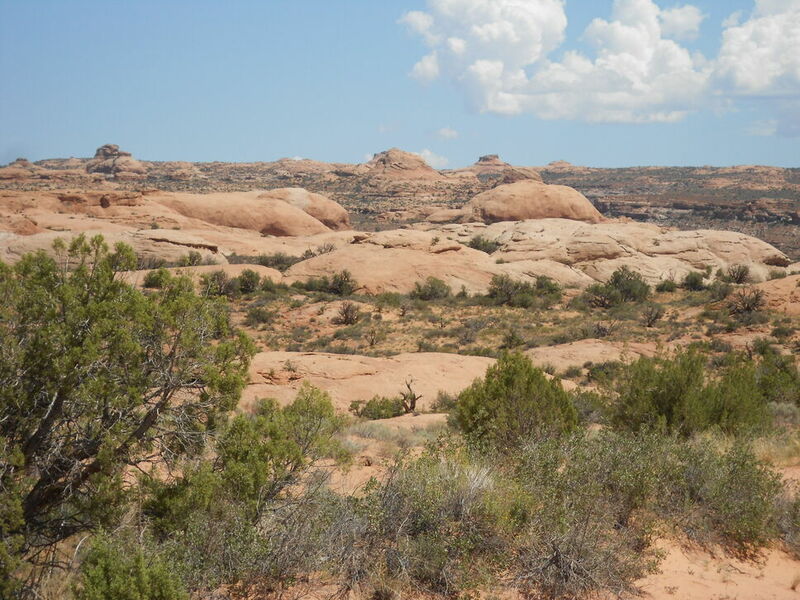 I found it to be the least crowded trail I hiked at Arches which gave me some solitude which was difficult to find on other trails in the park. 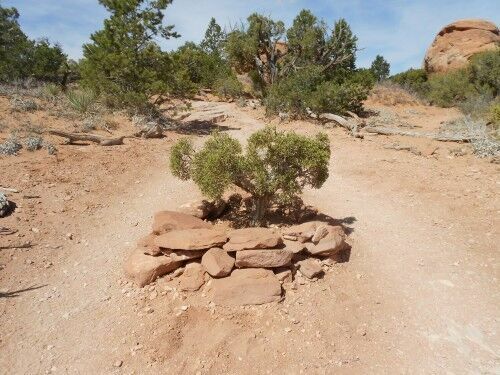 Being as short as it is, I would definitely make an effort to hike it if you have the time. 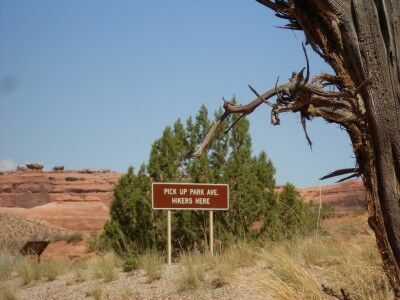 I can’t even tell you how excited I am to see this National Park.